I can't tell you how glad I am that it is finally Friday. We have been traveling across country this week as part of our move to South Carolina. While the government has been great--paying for our meals, putting us in nice hotels, and only allowing us to travel a little each day, this week has lasted FOREVER. Parts of it were super fun. We got to visit family and some dear friends. We spent a day at the Great Wolf Lodge. And I've been able to listen to a ton of books on my TBR list. But I am glad to be here now. We will spend the next few weeks trying to find a house and setteling into our new life. I don't know anything at all about the south, so this will be a new experience for me. Anyone from down here? I'd love to know anything awesome I can do with the boys to keep them entertained while we live in the hotel here. I have been so unproductive here on the blog this week. I had great plans but after driving all day, I just didn't have the umph to do much of anything. 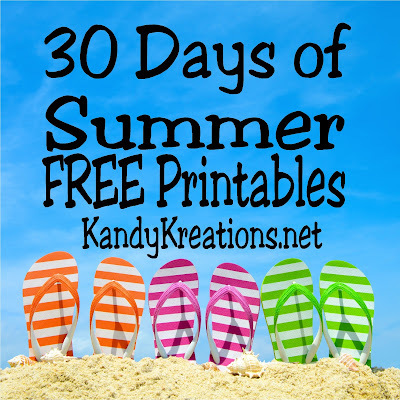 I will do my best to get the free printables up that I missed as part of the 30 days of free printables series, but please bare with me. It may take a few as we try to settle into some type of routine. I can see that you guys have been super productive though. 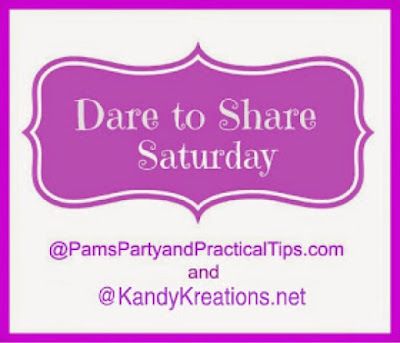 You had me salivating and wanting to decorate as I looked through the posts from last week's Dare to Share. 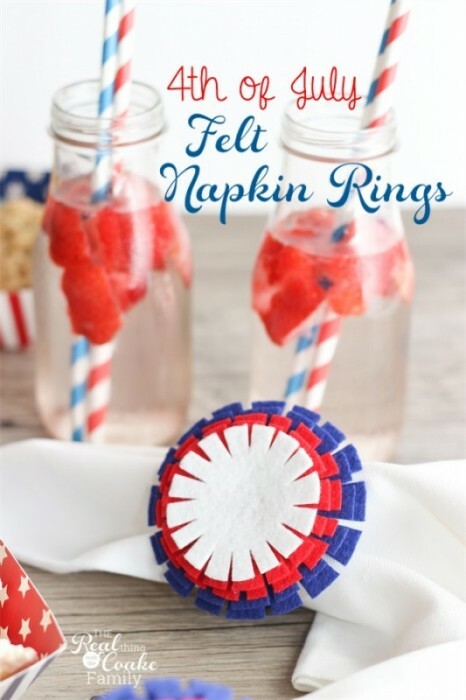 I will definitely be pinning a bunch of those and adding them to my "To Do" list as soon as I can, but I'm getting super excited about all the Patriotic decorations and treats that you shared. If you missed them, check out these 3 Patriotic Decorations from last week's Dare to Share party as this week's linky party's features. I'm not the only one who is starting off on a new foot. My friend and co-host Pam from Pam's Party and Practical Tips is enjoying summer vacation starting. She ended the school year with some great fun and family traditions with her kids. It's always fun to check out other people's family traditions for me. My kids are getting older now and it's hard to start new ones, but it's fun to try new things and see what the kids love. 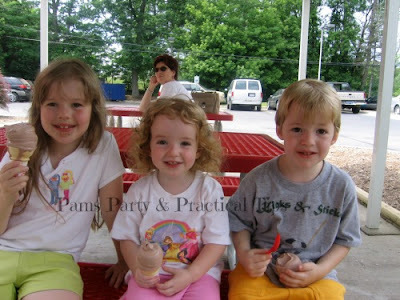 If you are looking for some great ideas, check out Pam's End of the School Year Tradition and pin it for next year!